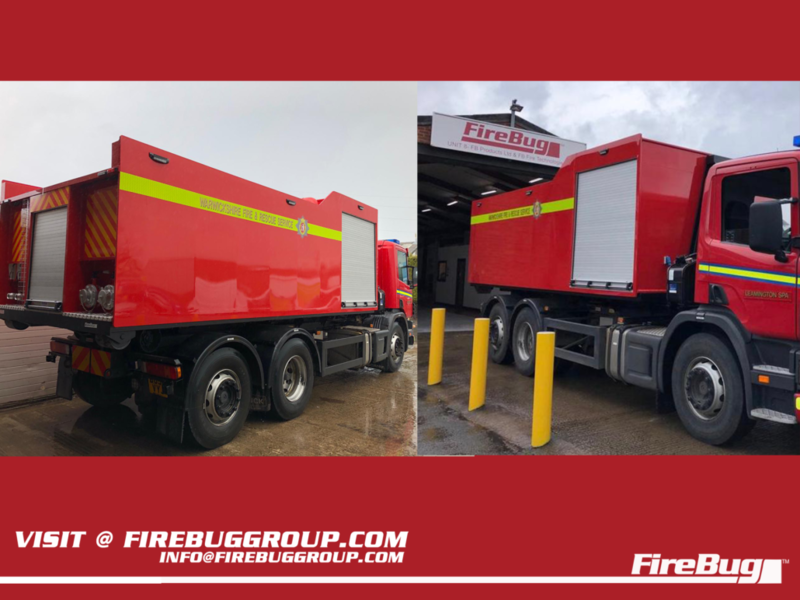 Cost effective solution for a water carrier upgraded to 10,000Ltr FireBug UK co-polymer body with large front through locker and LPP stowed on slide out tray at the rear. LED Scene lighting, locker lights and blues. Operational either mounted or demounted. 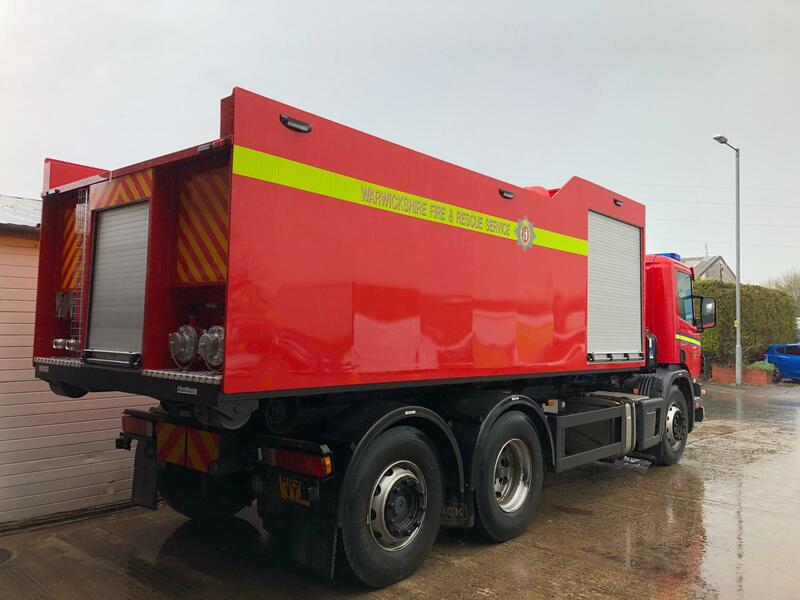 Utilised existing Scania Chassis with 26,000 kgs GVW and hook loader rated @ 17,000Kgs. 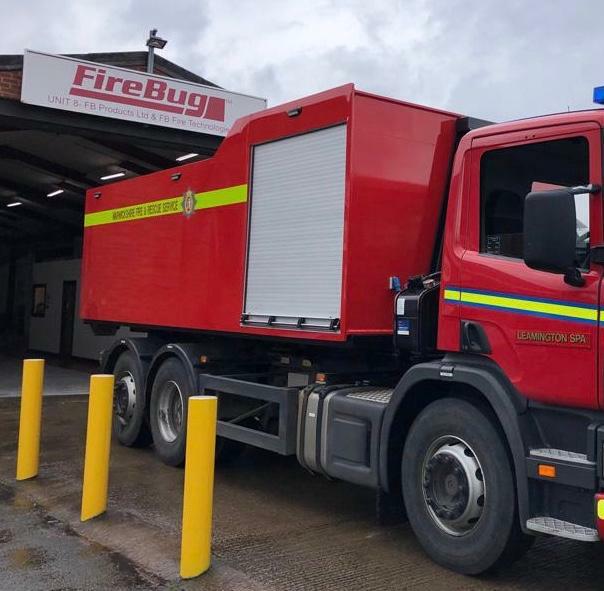 Why purchase a dedicated Water Carrier if you have a RO-RO chassis already available in your fleet? 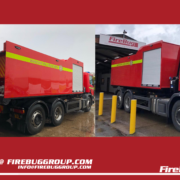 http://firebuggroup.com/storage/2019/03/Firebug-06.png 1417 1890 Developer http://firebuggroup.com/storage/2018/07/white-logo-300x55.png Developer2019-03-17 19:16:492019-03-17 19:16:49Warwickshire Fire and Rescue Service Water Carrier – utilising an existing Fleet RO-RO Chassis.